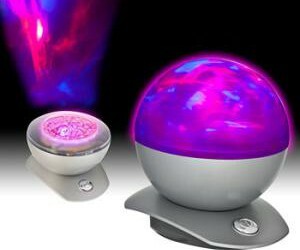 The Laser Sphere - Night Light Projector is a fascinating LED ball that will project an amazing light show on your room’s ceiling and wall! If you’ve had a hard day, just lay back in the evening and enjoy the moving magical colors the Laser Sphere will present you! Full relaxation is guaranteed!